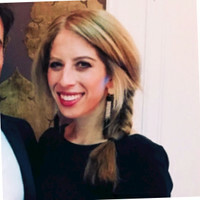 Lauren Klein is an Enterprise Account Executive at Scribble where she focuses on some of the company’s largest customers including Autodesk and LinkedIn. As a leading sales consultant at her firm, Lauren has a proven track record in helping brands plan and create high impact content strategies that deliver business results. Prior to ScribbleLive, Lauren worked on the agency side where she planned digital and traditional media campaigns. Lauren graduated from the S.I. Newhouse of Communications at Syracuse University, and is still a passionate basketball fan. In her free time, she loves power yoga, recreational sports leagues, and her volunteer program Experience Camps (1-week sleepaway camps for grieving children).